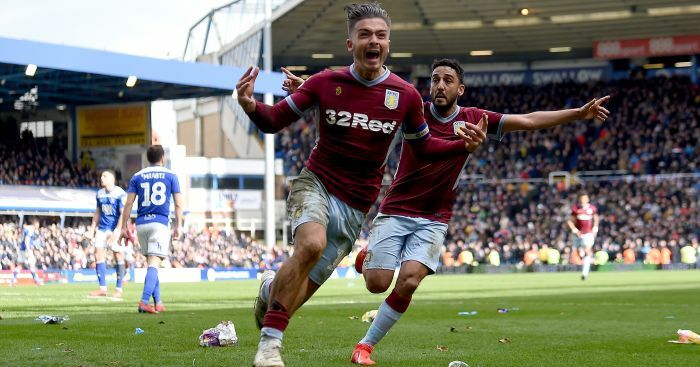 Aston Villa midfielder Jack Grealish was attacked by a spectator early in his side’s derby clash at Birmingham. 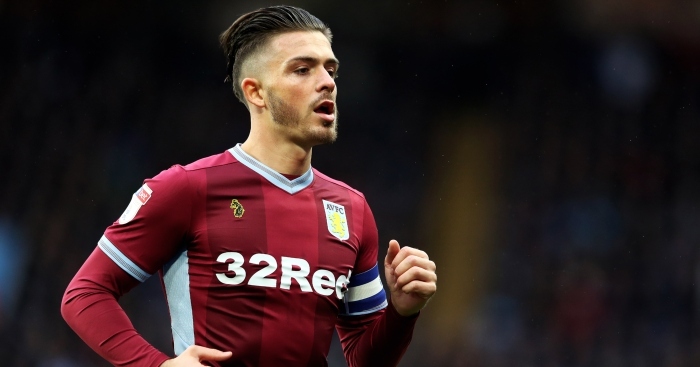 The incident occurred less than 10 minutes into the game when Grealish was in the Birmingham penalty area and a spectator in a flat cap ran on to the field and threw a punch from behind the visiting captain, striking him on the side of the head. 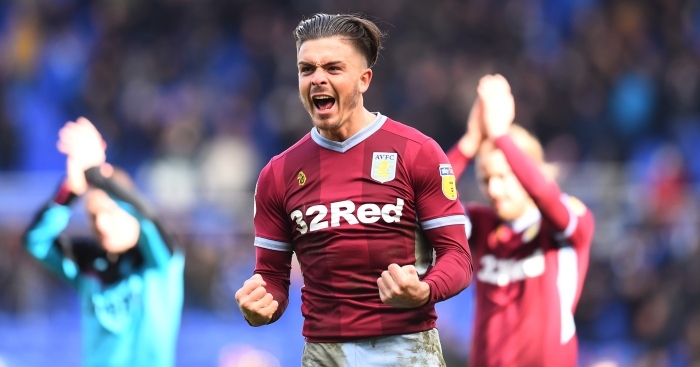 Former England defender turned Sky pundit Gary Neville called for Blues to be docked points over the attack on Grealish. West Midlands Police announced an arrest had been made following the incident. 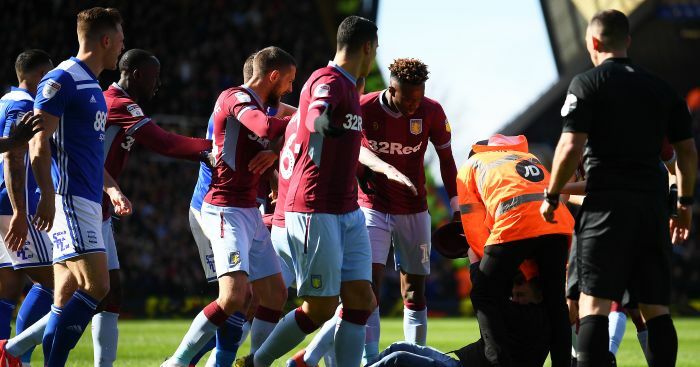 The incident followed a feisty opening to the game, in which Birmingham’s Maikel Kieftenbeld was booked for scything down Grealish, while there were also clashes between fans outside the stadium before kick-off. Half-time arrived with no score and no further serious incidents, though Blues striker Lukas Jutkiewicz twice clashed heads with opposing players and was also booked for a high foot when challenging Villa keeper Jed Steer. 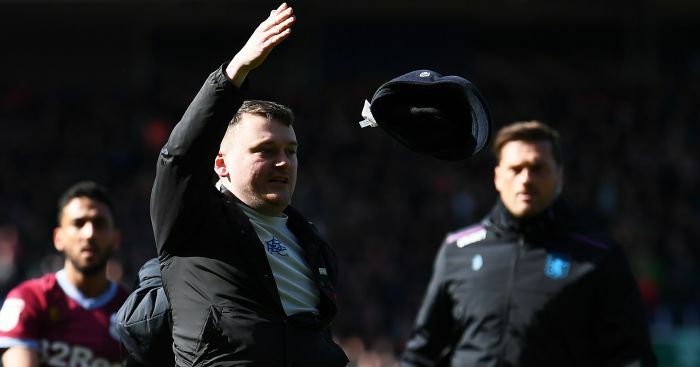 Press Association Sport understands the Football Association will await referee Tim Robinson’s official report before deciding what action to take, though incidents involving spectators come under the jurisdiction of the local police.